A night Mary can not remember changed her life forever. Her church casts her out. Friends disown her. She is locked out of her home and her husband plans to divorce her. Her guilt is overwhelming. No one will forgive her. Desperate to save her marriage, Mary turns to God, someone she only superficially believes in. She pleads with Him. She tries to bargain with Him. She prays for forgiveness and restoration. But nothing is what it appears to be. Seeing how the decisions in her past have shaped her life, Mary struggles to know what God wants of her now. If she can find out, will He return her family to her? Will He give back the life she had before the night her world fell apart? “The God Whistle” is a story of faith, love, and forgiveness. It’s an emotional ride from beginning to end with surprises that will keep you riveted page after page. I had the honor of reading this book about a month before its release, so that I could provide an honest review. It's not difficult to provide an honest review when you love a book as much as I loved this one!Ralph Nelson Willett has written some wonderful books. 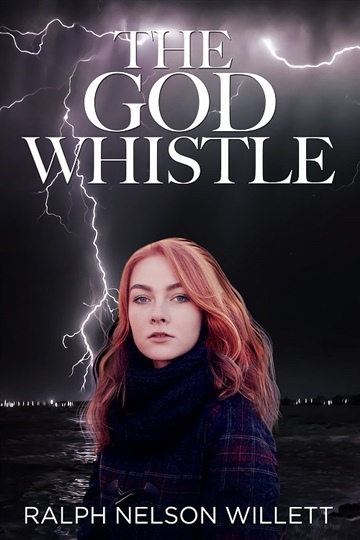 Each one I read becomes my favorite, and this one is no exception.The God Whistle held my interest from the start, with a highly intriguing plot line. I read the entire book over one weekend, which is unusual for me, but this book was THAT good. Also, the characters are interesting and relatable. I can't say much more without giving away the story, but I highly recommend this book. Thanks, Ralph, for another great one!! Right from the beginning this book evoked strong emotions. It was hard to read and yet I couldn't stop reading it. Tears came as I walked through Mary's life with her. I could literally feel the hurt she was experiencing. Ralph Willett is an amazing writer in that you feel as if you have somehow fallen into the book and is living out the character's story yourself. It is vivid, emotional and over all just amazing! I want to read it again and again!!! This is a wonderful book, quite the page turner and one that you don't want to put down! It's an amazing story of love and redemption between a couple and their individual relationship with God. This riveting story invites you to see how God is a God of mercy and love and how His love offers transformation, healing, and hope. I highly recommend this captivating novel! I was allowed to read an advanced copy of this book by the author. What an amazing story!! A couple whose lives were torn apart by something that was not clearly seen at the time. The truth revealed later on down the road. And a hard lesson learned.... God is always in control and He works in mysterious ways.